The compact mirror is made of 100% silicone material. 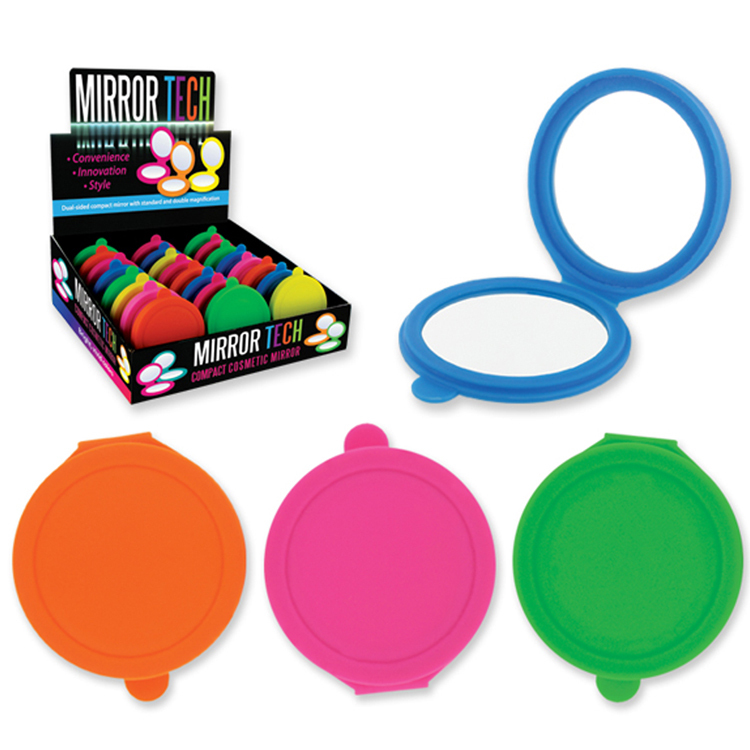 Double sides mirror covered by the silicone can make sure the mirrors more safe and not broken. Soft and convenient to carry. Custom shape and logo is available. Package: 1 pcs/poly bag, 240 pcs/ctn, 29.7 lbs/ctn.